The brand has partnered with The Salvation Army for the ‘It feels Good to Give’ push to give something back to regional communities. The truck is a 20-metre long truck decorated with more than 65,000 festive lights. It will visit regional towns, and put on a community event, such as a music concert or an open-air cinema in the outback. On its departure it will gift the town with high tech equipment it can use for future community-run events. For instance, it will donate lighting and sound equipment for a community music hall, or a reusable outdoor cinema for remote far north Queensland. It starts today in Sydney’s Manly Beach, and will visit places including Mt Isa, Townsville and Tamworth. Its final destination is the Carols in the Domain event in Sydney. The festive campaign will also roll out across TV, online video, out-of-home, cinema, PR and social activity, as well as in-store shopper marketing. Jacqui O’Donnell, marketing manager at Coca-Cola Australia, says: “We’re thrilled to launch our new festive campaign with The Salvation Army this year that truly benefits communities in need and reminds us just how good it feels to give back. The fact that this will be supported by the magic of the legendary Coca-Cola Christmas Truck coming to Australia for the first time makes it even more special. Coke worked with UM, Ogilvy, Pulse Communications, Maverick and Geometry Global, to make the campaign happen. Check out the round-up of 2017 Festive ads. Coca-Cola is bringing its iconic Christmas trucks to Australia for the first time and taking them on tour of regional areas. 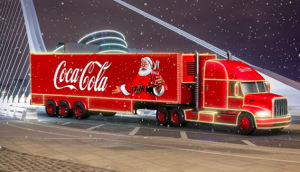 The trucks, and the iconic Coke Christmas ad, have long signaled the start of the festive season in the UK and the US. 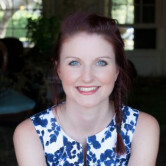 Lisa Winn, marketing director for Coca-Cola South Pacific, recently told AdNews that the brand, which has not focussed on festive Christmas ads in Australia for a while, will be ramping up this year to make Coca-Cola synonymous with Christmas, as well as summer. It will run a summer campaign throughout January, but December activity will be focussed on festive brand experiences and emotive content.